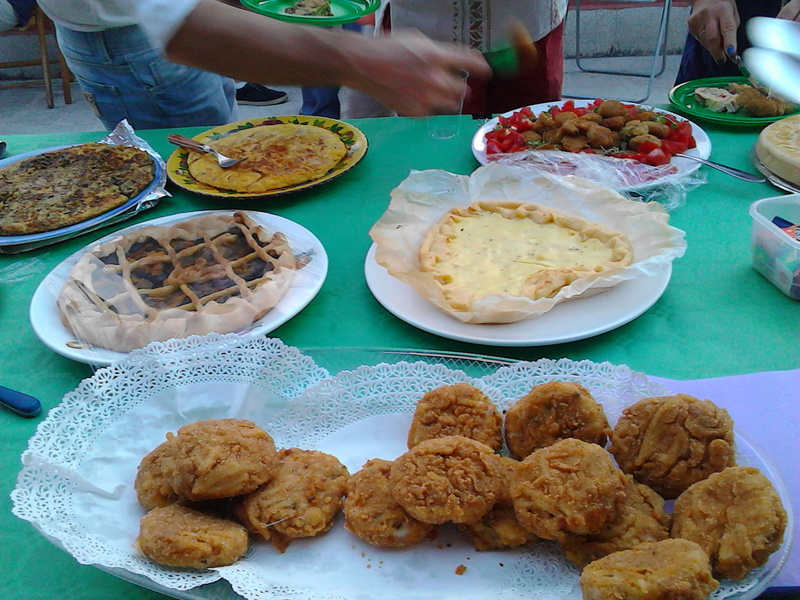 I have been pondering: What to make for a condominium “Festa della Estate“? 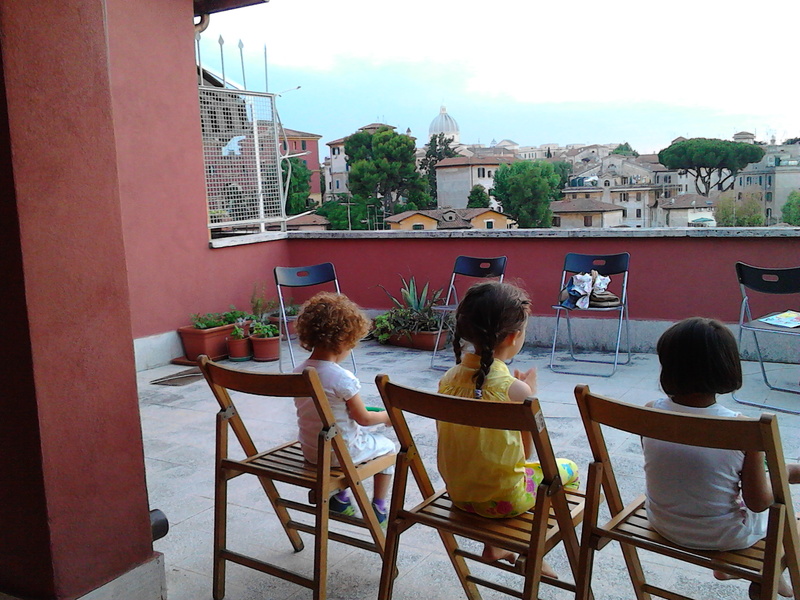 We have a lovely rooftop terrace over looking Garbatella, our neighborhood here. For several years there has been a ban on using it for anything but drying laundry, but there is an ongoing thaw. Last summer we had a summer terrace party for the building, where eveyone brought a dish and we enjoyed the sunset and evening breeze. Really nice! We recently had the second annual terrace party, and I have been debating what to bring. Nothing Italian, for sure: we have some excellent home chefs in our palazzo, and each dish is tasted, scrutinized and debated, in a friendly, slightly competitive and very appreciative way. For the party last year we made an English summer pudding, very exotic and that went down well. Nothing too foreign either, and something that holds up in the heat. What to make? 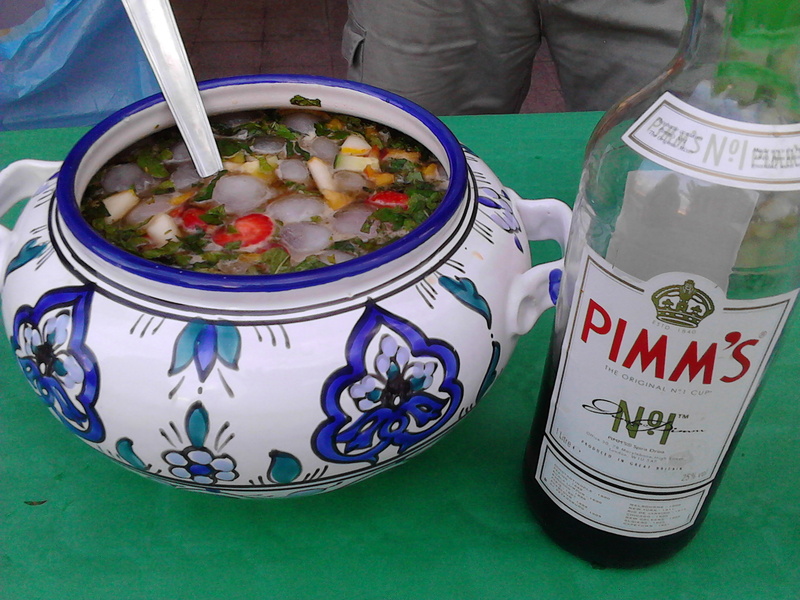 This year we contributed Pimm’s (an English summer apertivo with fruit and cucumber) and a cold, crisp Norwegian cucumber salad, as it is close to 30C even in the evenings. …niente male no? Aggiungerei del cocomero (lo porto io) se no che festa dell’estate è!! Make this the day before serving it, so the flavours meld and the salad is cold. . 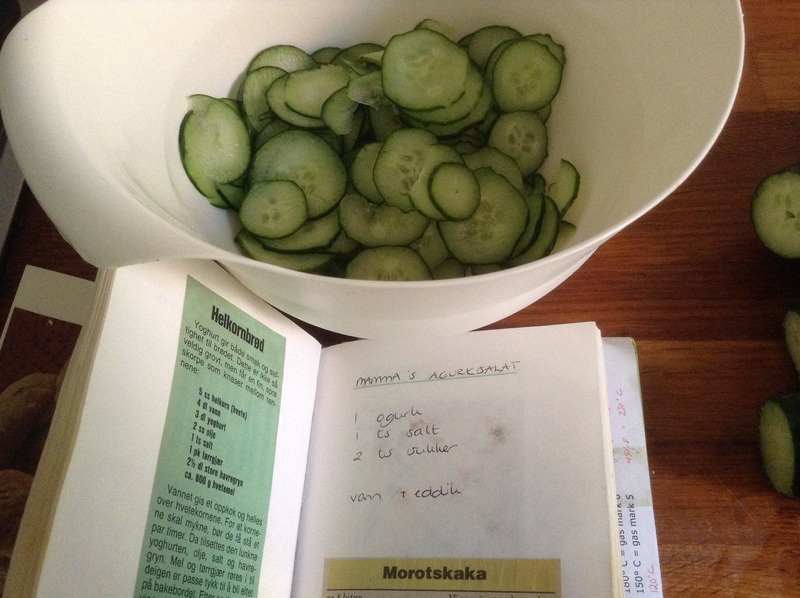 Shave the cucumber thinly with a cheese slicer (invented by a Norwegian, did you know that?) and layer in a bowl with salt, sugar and vinegar. Add enough water to cover. Repeat, depending how much salad you want: I made a medium-sized bowl with four cucumbers, just add more salt, sugar and vinegar. Taste and add more salt, sugar and vinegar if needed. Fresh dill is nice too if you have it. Cover and store in fridge. We sampled dishes, ate cherries, gossiped about the construction works across the piazza, enjoyed amazing millefoglie contributed by the restaurant below, and it was a really lovely evening. 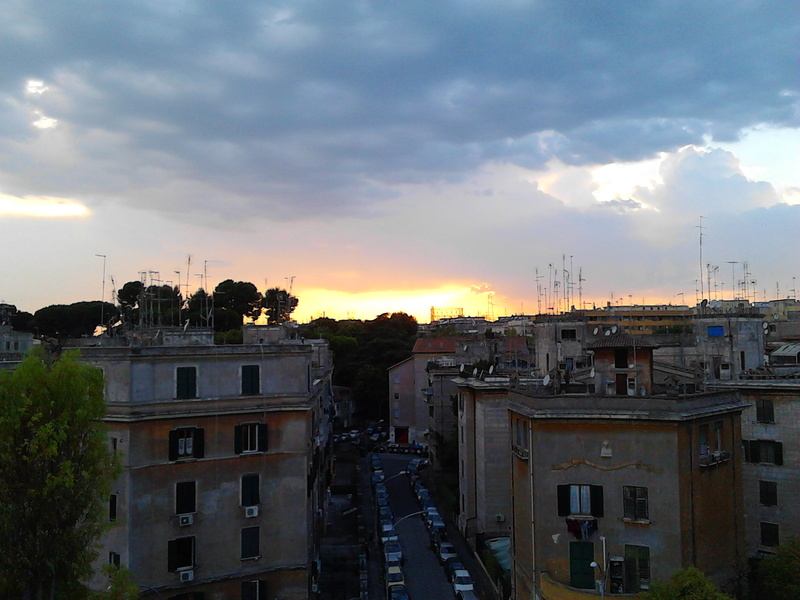 This entry was posted in food, Rome and tagged cucumbers, Garbatella on June 21, 2015 by krumkaker.